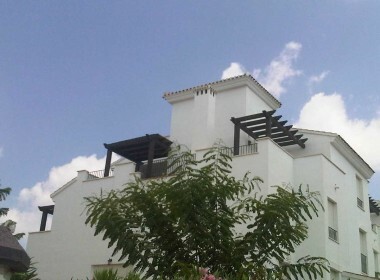 2 bedroom bargain south facing top floor apartment for sale in Terrazas de la Torre Golf Resort Urbanisation, close to Mar Menor beaches. This property has never been used and it has been kept in perfect conditions being the ideal home for Golf Holidays of just relaxing holidays with the family. This cheap apartment for sale in Terrazas de la Torre comprises of nice size lounge, american kitchen, fabulous south facing terrace, 2 double bedrooms and 1 full bathroom. It offers many hours of Sun, Golf Views and a fantastic communal pool and landscaped gardens.